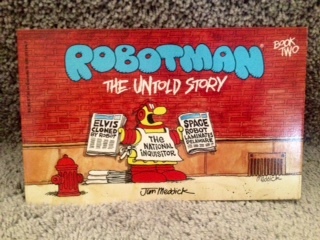 This week, we’re going to look at Robotman: The Untold Story by Jim Meddick, published by Topper Books in 1986. I paid a quarter for this bad boy and truth be told, I’ve been looking for some Robotman stuff to talk about here for quite awhile. Thrift Store Finds: Rejected Finds! 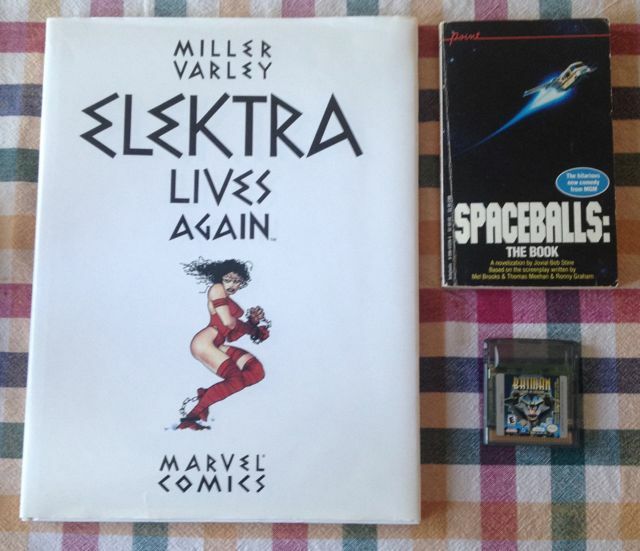 Most of the time when I buy stuff from thrift stores, I manage to squeeze a couple hundred words out of those purchases for a Thrift Store Finds post on Saturday mornings. 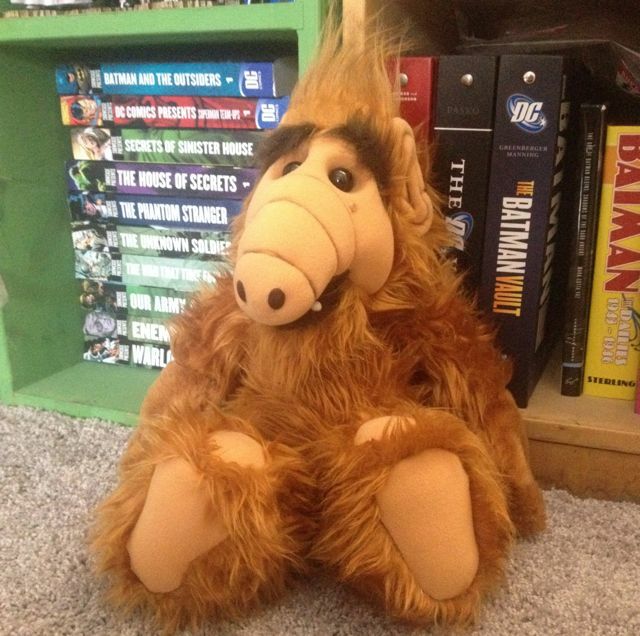 Sometimes I’ll buy things and… I don’t know, it’s just not meant to be. Here’s a couple of rejected (but hopefully still interesting!) finds. Another square-sized collection of For Better or For Worse I found for fifty cents, Pushing 40 collects a bunch of FBoFW strips from the late 1980’s… so Michael Patterson’s just starting puberty and there are lots of armpit hair jokes. 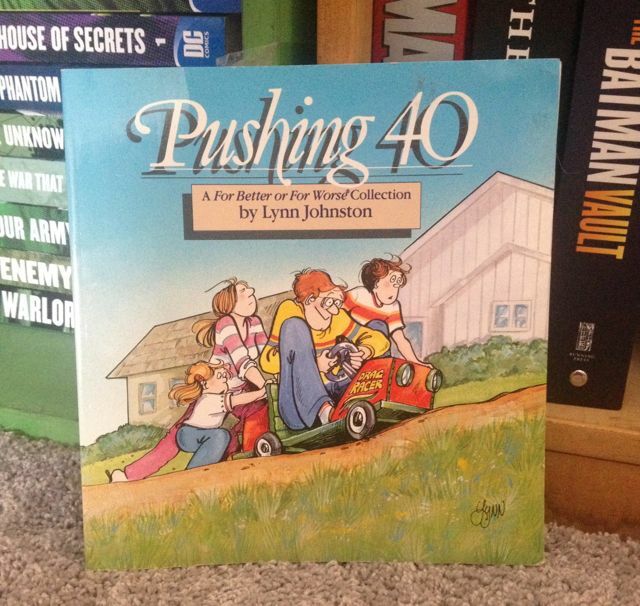 I rejected this find for a longer post because I already wrote about Lynn Johnston’s work back in 2011 when I looked at It’s All Downhill From Here. I was pretty thorough in that post about how much I like FBoFW and I remain fairly proud of that piece. 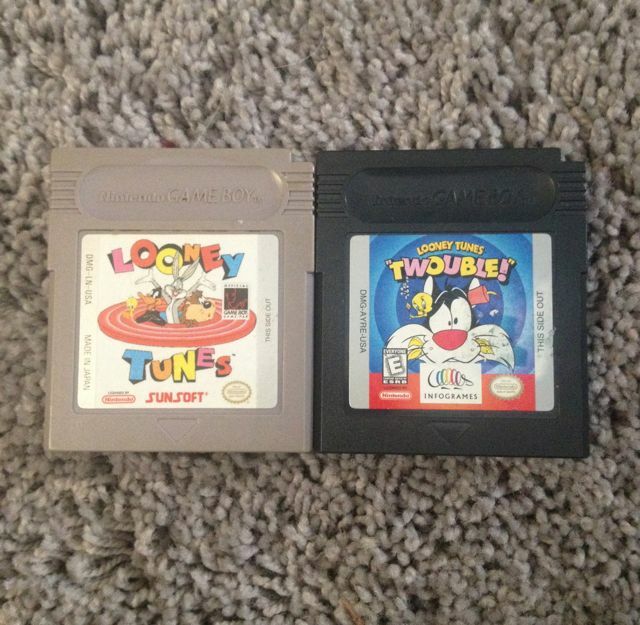 Finally, TWO Nintendo GameBoy finds: 1992’s Looney Tunes for the GameBoy and 1999’s Looney Tunes Twouble for GameBoy Color. Two licensed games featuring many of the same characters separated by almost a decade; if I asked you to pick which one of these two games was the better, sight unseen, you’d probably pick the one made in ’99, right? You probably would and you’d be DEAD WRONG because Twouble is HORRIBLE. It makes a stab at being sort of a three-dimensional puzzle games and it just bites. The ’92 Looney Tunes cart however, is a completely solid and fun side-scroller. I haven’t played all the way through but you start as Daffy Duck, making your way through several other characters. I rejected this find because, as always when it comes to GameBoy games, I don’t have a great way to show you the game I’m writing about. 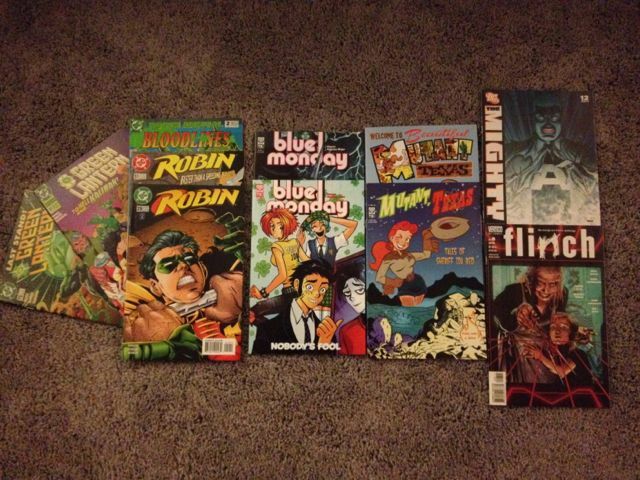 Here’s a comix shopping recommendation from me to you, if you’re ever in the greater Dayton area. Bookery Fantasy, man. BF is a store specializing in all the things I love: comics, paperbacks, and magazines new and old as well as gaming supplies (which I don’t care about so much, but you might!). The store is so massive, it’s TWO stores, across the street from one another. A weird, fun shopping experience for sure. 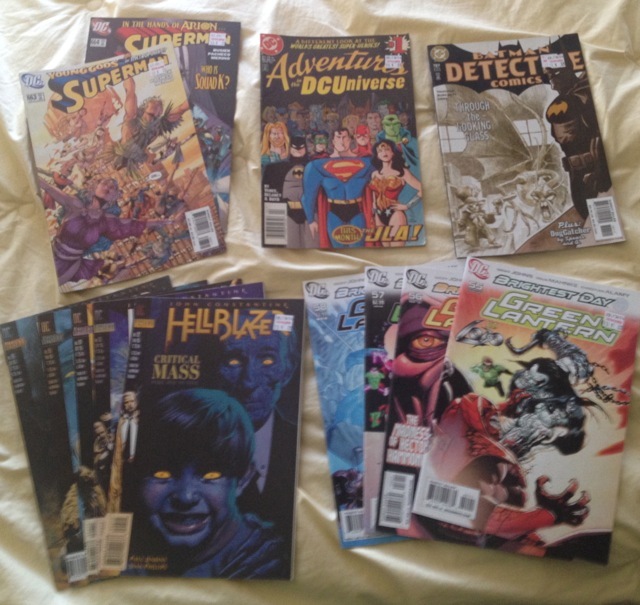 One of my favorite things about BF is the massive “discount warehouse” set-up, which includes an entire basement full of single issue comic books for a buck apiece. I spent an hour and a half digging through their archives and I barely made a dent… but the above picture includes most of my spoils. You are currently browsing the archives for the thrift store finds category.